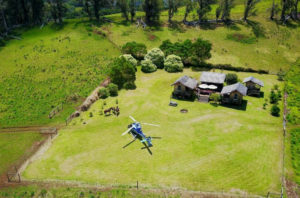 In a partnership with Piʻiholo Ranch, Blue Hawaiian Helicopters will now offer guests the “Heli Ranch Experience,” which combines a private helicopter tour of East Maui with a peaceful horseback ride. 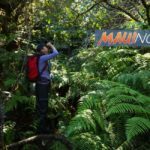 Guests who book the tour will fly from Kahului up the north side of Haleakalā to Hāna Town and view East Maui waterfalls before landing at Piʻiholo Ranch, tucked 2,000 feet up on the slopes of Haleakalā. There will be complimentary pastries and coffee at the Baldwin family cabins before embarking on a two-hour horseback ride through lush green pastures and fragrant eucalyptus forests, experiencing both ocean and mountain views. 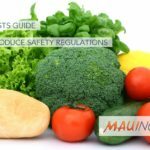 The Heli Ranch package includes roundtrip SUV limo transportation from guest’s hotel to the Blue Hawaiian heliport in Kahului and from Piʻiholo Ranch to guest’s hotel. The packages begin at $3,355 and are available for two, four and six-person experiences. 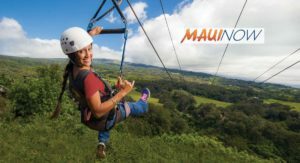 Blue Hawaiian offers custom itineraries upon request, group bookings and special occasions can be accommodated with advanced notice. 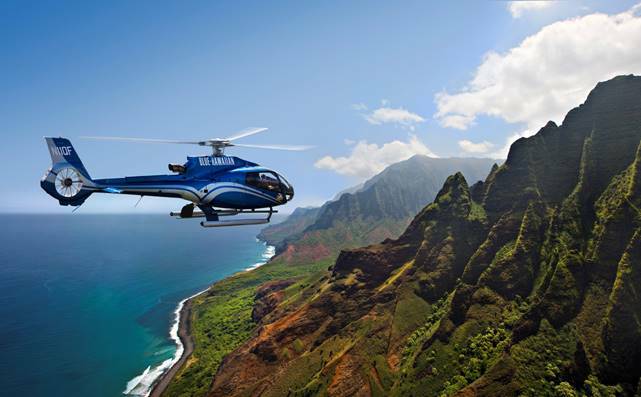 For more information on the Heli Ranch Experience, call 800-745-BLUE (2583) or visit Piʻiholo Ranch Maui online.